Babbitt LS Series radio frequency level switches provide simple yet reliable process control of liquids in a variety of industries including oil/gas, petrochemical, power generation, food processing and water/wastewater. 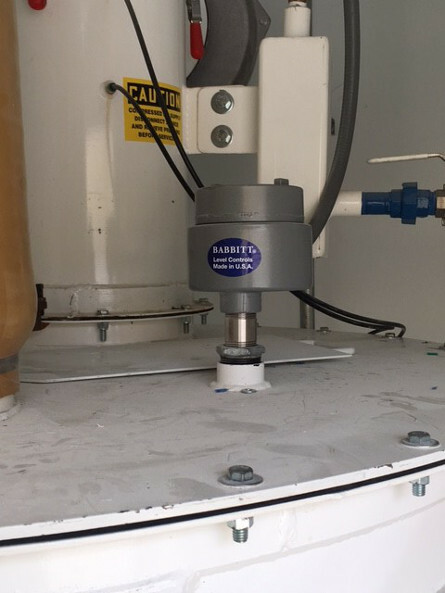 In this particular application, Babbitt LS7000 level switches are used to measure limestone in a major car manufactures paint process. The limestone is stored in 4 tanks where the LS7000 units are used for low level alarm functions. The limestone goes into a dry scrubber where it is used to capture paint fumes. 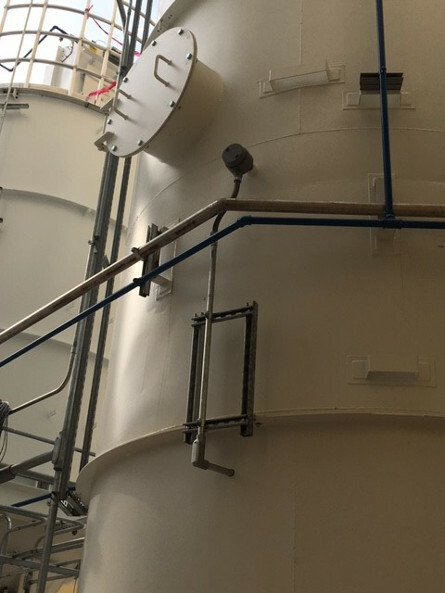 The limestone is then moved to a storage tank where LS7000 units are used as emergency high level alarms. 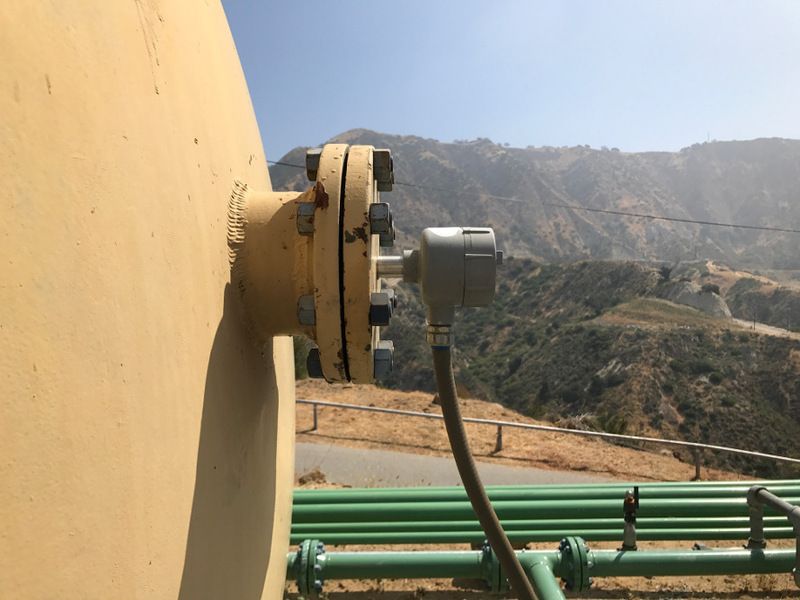 Babbitt LS8000 level switch used as oil/water interface detection by an oil company in southern California. This unit is side mounted into a horizontal oil/water separator tank. The unit is calibrated to ignore the oil while still detecting the presence of water. 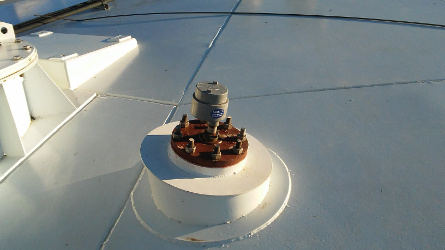 Due to the extruded flange mounting, a longer insulator was used to prevent the possibility of buildup occurring between the tank wall and the probe. 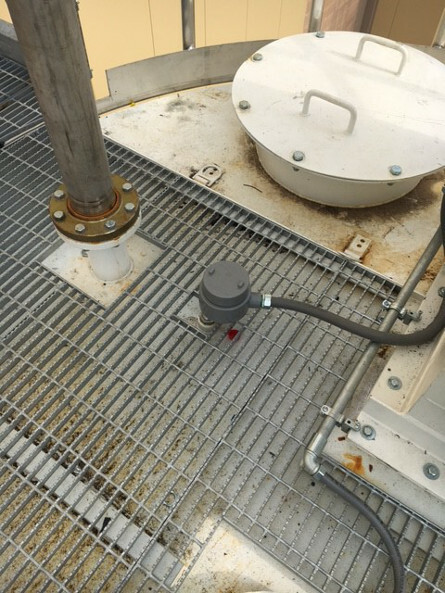 Babbitt LS8000 Level switch installed for foam detection on a digester at a water treatment facility in Colorado. The digester roof had recently been damaged after the failure of the primary level detector. The foam rose and clogged the flame arrestor which prevented the tank from venting through the pressure relief valves. The result was substantial roof damage to the digester. 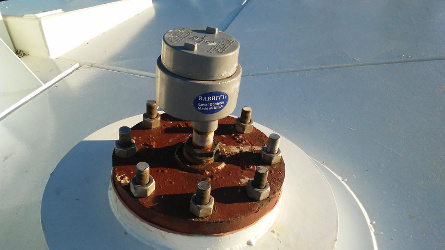 Emergency relief valves were installed along with an LS8000 unit with a HALAR probe to detect the presence of foam. Babbitt LS6000 switches used for liquid detection in compressor station gas coalescer. The gas coalescer handles the removal of solid and liquid contaminants to clean the gas. The LS6000 units are used to detect the presence of these contaminants.